Although I don't agree with the whole Guy Fawke Anonymous movement, I found this picture and the message it represents really cool. 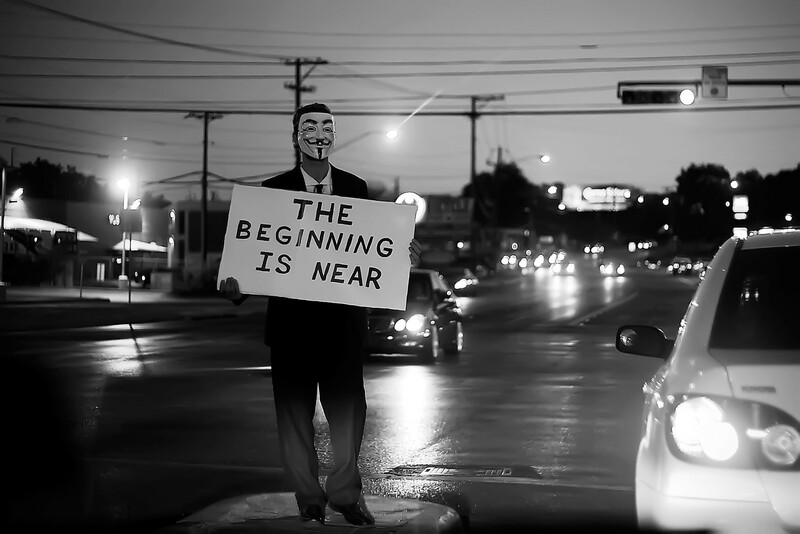 The beginning is near, a better one for everyone. I don't know the much details of the photographer besides that he's a professional, but you can find some more info about him here. The author of this image has been nice enough to offer prints of the image at cost. I think this would be a really cool picture to get framed and put on your living room wall.